Timeo danaos et dona ferrentes -- I fear Greeks, even when they bring gifts. 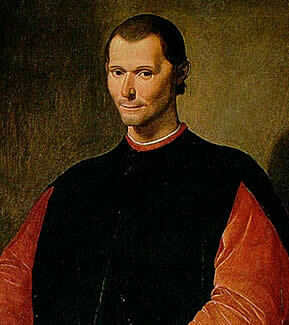 I remember my Machiavelli. In particular, his message that, 'he who overcomes the enemy by fraud is as much to be praised as he who does so by force.' Machiavelli suggested that armament was the first and foremost necessity for a state but projection of military power is a strange tool - three of the five first wave of nuclear proliferators have waged an offensive campaign against Libya and the regime, more than 100 days after the first strikes, is still functioning. It seems likely however, that the economic and material embargoes on Qaddafi will eventually succeed where the military strikes have failed. This is a siege - we have to wait it out and wait for the white flag or representatives to emerge from the keep. But looking at Rasmussen's more general assertions, one wonders how the EU members of NATO can deal with them after Greece inevitably defaults and the mostly European and American banks shoulder the burden of loss. We should not forget that NATO has a historical trajectory that has struggled to reinvent itself itself after the end of the Cold War. NATO was formed to offset the strategic vulnerability of Europe to military positions of the Soviet Union at the end of World War II and arose specifically from the North Atlantic Treaty of 1949 . Member states were all unified in their opposition to Soviet encroachment and it was easy to align military doctrine and material to prevent theorietical offensives through such geographies as the Fulda Gap. At the end of the Cold War, NATO had a number of successes in serving to police and ameliorate the break-up of teh former Yugoslavia, specifically Bosnia (1991-5) and later Serbia in 1999. But the considerations of member states have changed - there is no longer an existential threat to world order posed by the bipolar world of communism and capitalism - instead this is the era of small wars, insurgencies and civil strife. Libya is a case in point - it's humanitarian intervention and now to ensure continued safety of civilians, this seems to incorporate regime change. Canada as a NATO member, for example, can have little interest in removing Qaddafi. Germany, abstaining from the UN vote and absent from the Libya coalition only agreed to send surveillance AWACS to Afghanistan to free up surveillance capabilities for the Libya campaign. Recently, under pressure from EU partners, it has now responded to pleas to restock depleted allied armouries. How was this achieved? Through the NATO Maintenance and Supply Agency. Over 2000 "smart bombs" have been dropped on Libya thus far. By my rough calculations that's 20 a day. And of course, the UK has deployed the Typhoon for some sorties even though its ground attack capability is much less than the Tornado but you have to show the need for this new material, no? Q: Last remark, if you allow -- that there was a waste of money in Afghanistan; how do you evaluate this? SEC. GATES: That's a no-brainer. Of course there's been a waste of money in Afghanistan. You tell -- you show me a war where there hasn't been a waste of money. Waste in the fog of war, quite. Two big attempts to streamline two services have occurred in the UK recently, in health and in the military - and the two services face exactly the same problem that occurs in no other service. Technological development makes these services more expensive. In other industries, technology makes things cheaper - cars, televisions, other transport. But in medicine, treatments are more complex - consider platinum-based cancer therapies, and in the military, the revolution in military affairs with its inherent technology for technology's sake, makes this a service which year on year becomes more expensive to provide the same spectrum of services as the year before. Wedding IT to the military is a case in point - integrating new technologies, "upgrading" can only lead to greater expenditure. When your opponent is fighting with plastic-encased IEDs and suicide bombers (see the Kabul hotel attack yesterday) the revolution in military affairs seems less attractive than it did at the end of the "major combat operations" during the initial offensive of Gulf War 2. The MoD, like the NHS, will continue to waste money. The SDSR is a more important document than the DRU review because it's what you waste your money on, rather than how much you waste, that will determine how effective the UK is in within the NATO umbrella and more generally against the challenges of the 21st century. We need to waste money on serious challenges in which we can lead a response to. We are behind the ball on cybersecurity, but cybercrime threatens to predominate in the West's concerns this century - we should start to coagulate a centre of excellence within the military that gathers its own momentum in the coming years. We have lauded our special forces, particularly after the embassy siege, and we should enhance their capabilities and number. We need to waste money in a smart manner - this is the message, and cling to the periphery of NATO as best we can, without engaging in ridiculous offensives in countries without any idea of what will emerge from it when we win.